Today only, while supplies last, head over to Amazon where you can score this highly rated Intex Explorer 2-Person Kayak w/ aluminum oars AND air pump for just $58.99 shipped (Retail $92+) – lowest price. 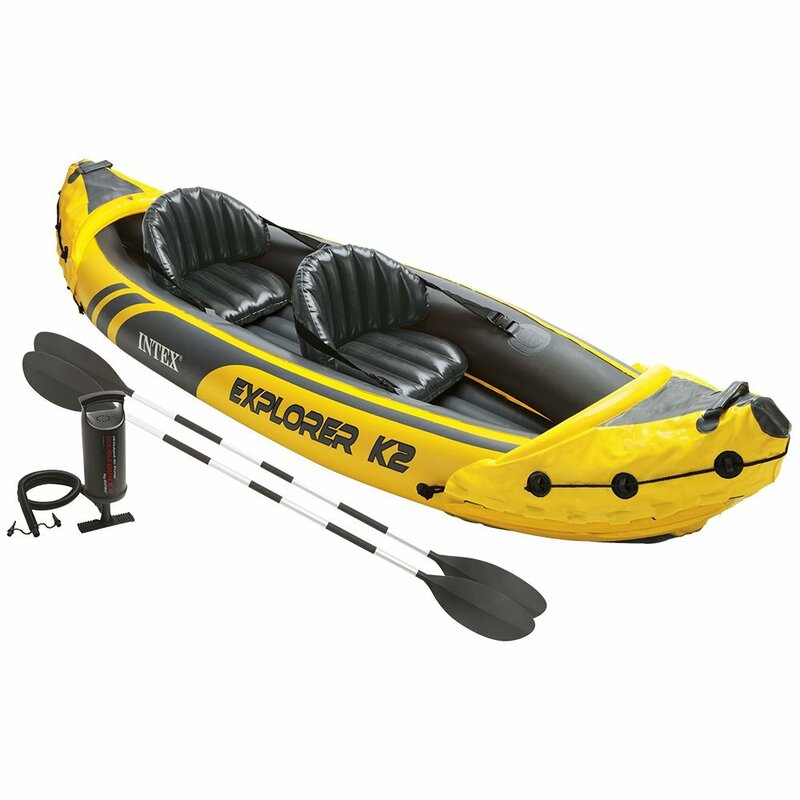 The Intex Explorer K2 Kayak is made with rugged vinyl construction, has an inflatable floor, a removable skeg that provides directional stability and two adjustable and inflatable seats with backrests. It also comes with two 86"aluminum oars, an Intex high-output pump, a U.S. Coast Guard I.D. and a repair patch kit.